It really makes for quite a spectacular sight. 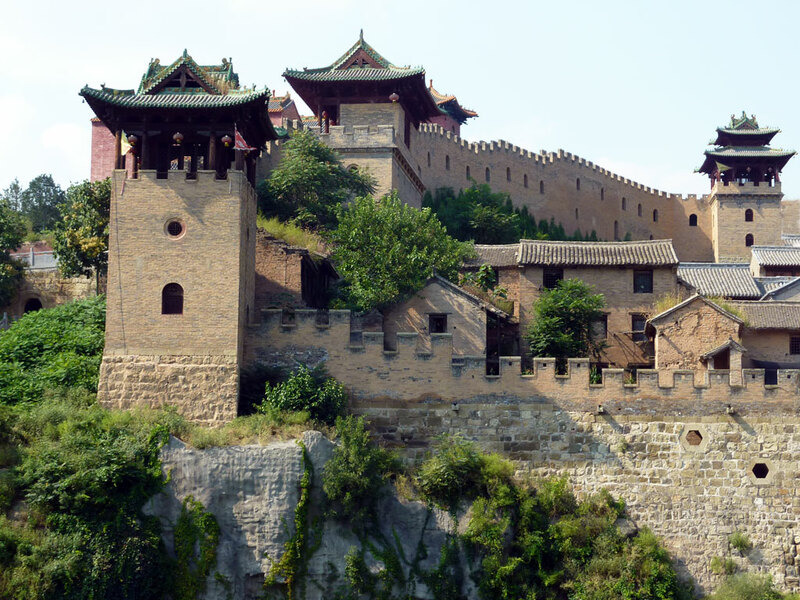 Yet, at the same time, the view is somewhat deceptive, because Xiangyu is actually a large, fortified village, rather than a castle. 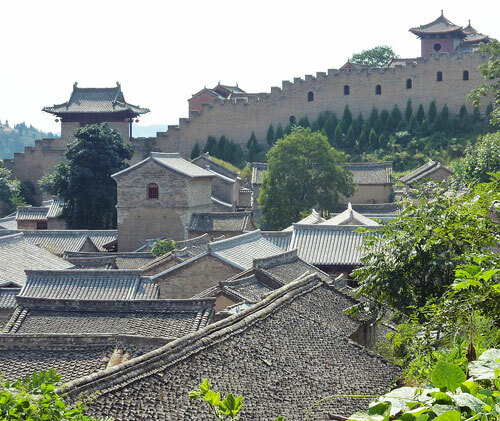 Xiangyu village is more than 400 years old and its huge protective walls were designed to safeguard its residents from the uncertainties of turbulent rural China. 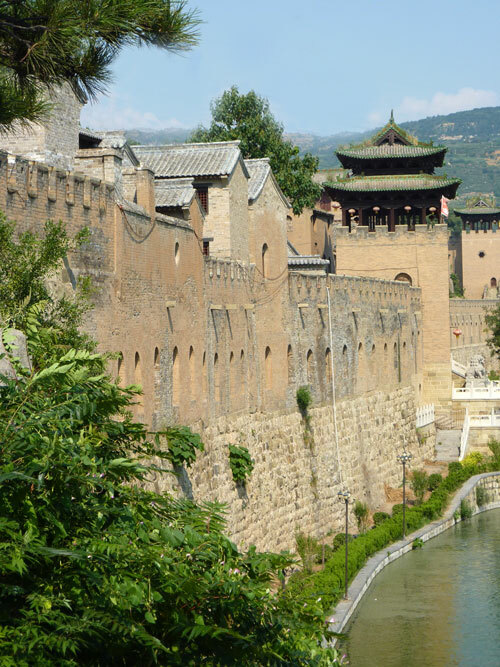 While the outer walls looked majestic, inside it was another story. 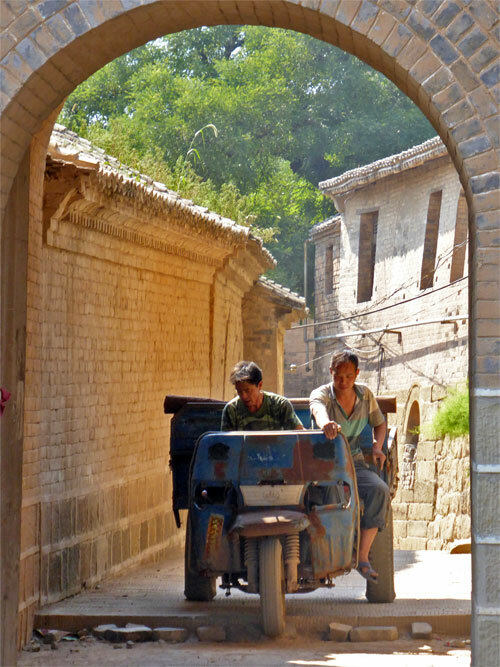 At the time of our visit, the fortified village was a pretty dilapidated, but lived- in and authentic, rural place. There was no ‘menpiao’ (entrance ticket), nor were there any souvenir stalls. In fact, we couldn’t find anywhere to have a cold drink and a rest, no restaurants or hotels either. 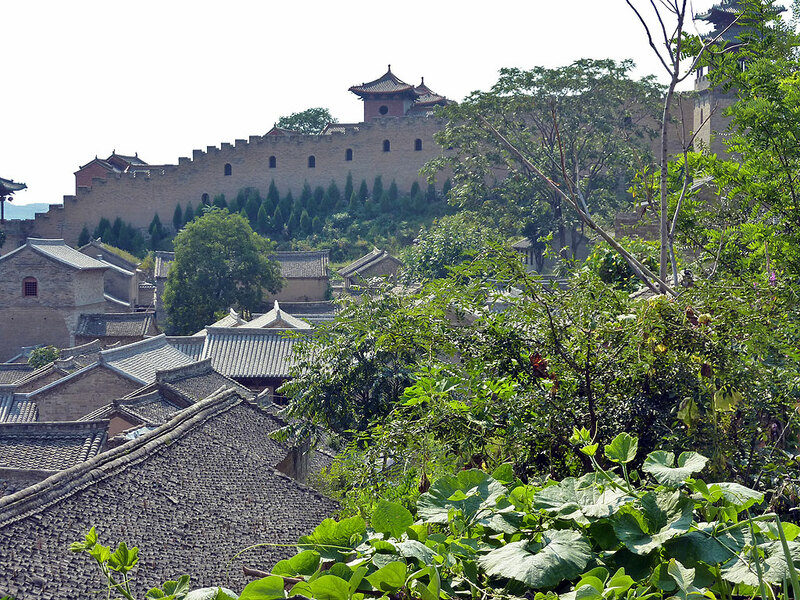 The houses inside the walls were still inhabited by local residents who had used every spare plot of land to cultivate vegetables, especially eggplants, chilies and tomatoes. We enjoyed our stroll around the town and wondered what would become of it in the future. 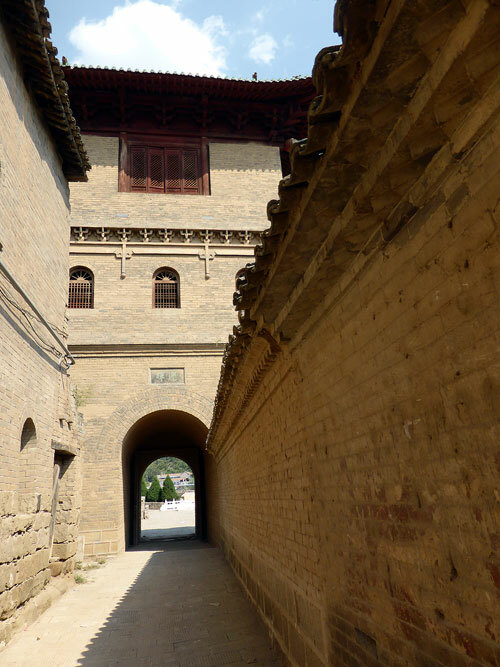 It was obvious that the walls and watchtowers had only recently been restored to their former splendor and there were signs that work was underway to prettify the rest of the village as well. 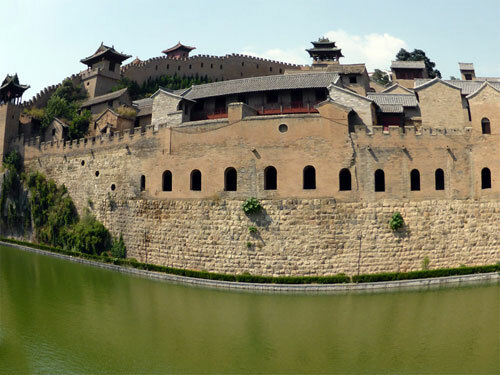 When we last checked on the Internet, we found that since our visit just over a year ago Xiangyu Castle 湘峪古堡 had been opened as a tourist attraction. How quickly things can change in China! Who knows what happened to the local population. 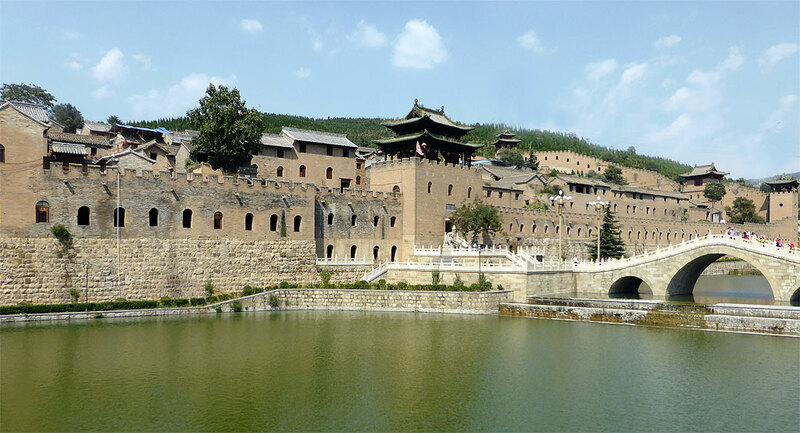 In the tourist information Xiangyu Castle 湘峪古堡 was described as an empty and abandoned place; that certainly wasn’t the case when we were there! 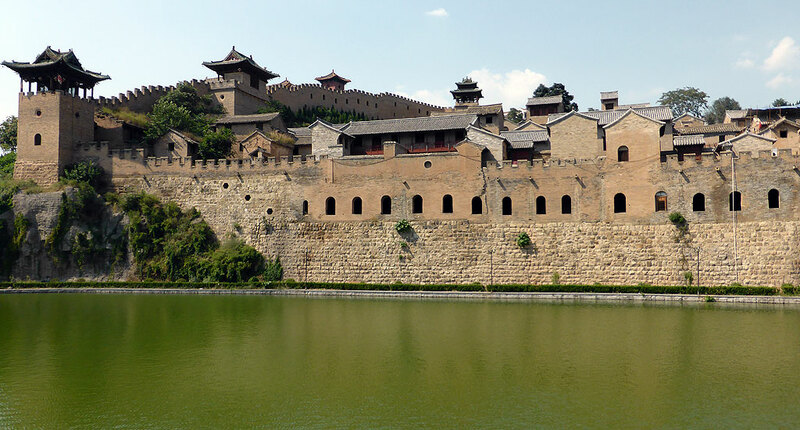 We hired a car for the day from Jincheng 晋城 and visited a number of other places on a fantastic day trip around the ancient castles, temples and walled cities of southern Shanxi Province.